Your message has been sent to the Frontiers Administration Office and will be deal with as soon as possible. Join hundreds of scientists, leading researchers, and interested industry colleagues for three days of high-value and exciting presentations from the community’s world-leading scientists on the cutting edge of exciting new areas of Neuroergonomics research. Neuroergonomics is an emerging field that investigates the brain in relation to behavioral performance in natural environments and everyday settings. Neuroergonomics research aims to expand our understanding of the neural mechanisms underlying human perceptual, cognitive, and motor functioning with a focus on real-world contexts. 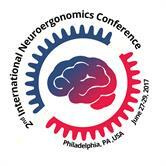 The 2nd International Neuroergonomics Conference to be held at Drexel University, Philadelphia, PA USA, June 27-29, 2018. Neuroergonomics has witnessed extensive growth since its development a decade ago with the understanding of the brain at work and in everyday life. Following the success of the inaugural Neuroergonomics conference in Paris, the time is right to take stock of the achievements of neuroergonomics research, discuss key questions and develop new ideas for the future. This is the purpose of the Neuroergonomics 2018 Conference. Lewis Chuang, Max Planck Institute for Biological Cybernetics, Tuebingen, Germany.